EUR/USD is in a broad consolidation, after bottoming at 1.2331 (Oct.28,2008). 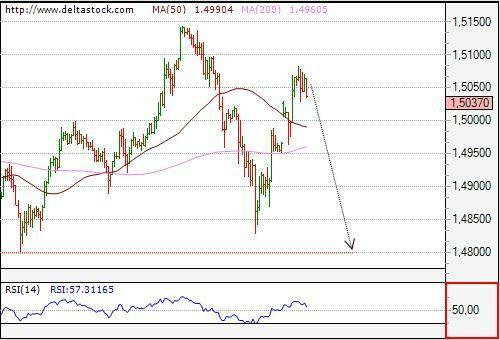 Technical indicators are neutral, and trading is situated above the 50- and 200-Day SMA, currently projected at 1.4793 and 1.3523. The rebound from 1.48+ support zone was larger than expected, and broke through 1.5020 crucial level, neutralizing the bearish momentum. Intraday bias is still positive, but we favor a break below 1.5020 to target 1.4801 again. 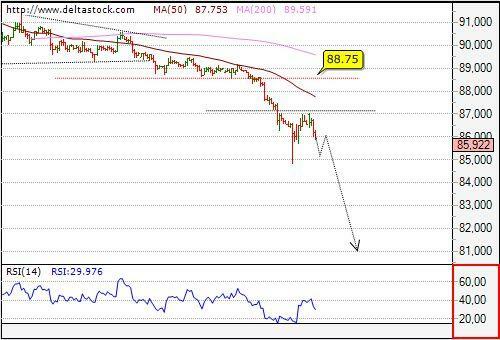 The overall downtrend has been renewed with the recent break below 87.12. Trading is situated below the 50- and 200-day SMA, currently projected at 94.86 and 94.84. The pair is testing 87.12 resistance and we expect that test to fail and the downtrend to be renewed towards 83.45, en route to 81.63. Intraday bias is negative, while the pair holds below 86.50 resistance. Although the pair broke through 1.6460 resistance, peaking at 1.6596, we still think, that current rebound is corrective in nature and precedes next slide to 1.6130 area. Intraday bias is slightly negative, but a clear break below 1.6450 is needed to confirm, that the downtrend has been renewed. 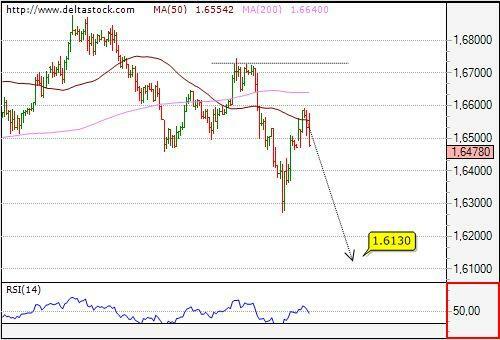 Crucial on the upside on the 4 h. chart for the overall negative outlook is 1.6730.